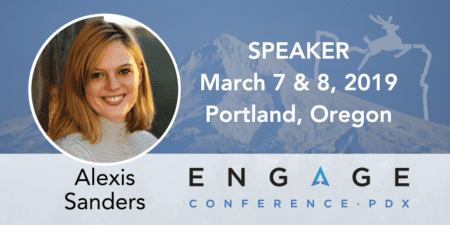 Alexis Sanders will be speaking on TechnicalSEO at Engage which will take place March 7–8 in Portland Oregon. For more information or to purchase tickets, please click here. Hi everyone! My name is Alexis. I work primarily as an SEO account manager at Merkle, a full-service marketing agency. I also work as a member of Merkle’s tech team, which supports technical inquiries from all SEO team members. On the side, I try to learn new things whenever I can. Right now I’m in a calculus two and discrete mathematics course (so if you understand integrals, please help me!). 2) How would an Agency Enterprise SEO Specialist such as yourself typically engage with a large corporation containing an in-house staff? Glad you asked! At Merkle we work with mostly enterprise level clients, who generally have a fully staffed SEO team. From my experience, the relationship with each client is different. Depending on client needs, the relationship can look like a strategic partner (where Merkle help drive overarching business goals through strategic ideation for client’s next steps), an integrated partnership (i.e., where clients leverage us as an extension of their team), or even as simply extra hands to support their workload. Sometimes it’s a balance of all three. Typically engagements begin with a comprehensive site audit, which helps our team to identify top pain points, low-hanging fruit, and enables us to become more acquainted with the experience. Most engagements have yearly executive business review that covers performance, identifies strategic initiatives for the coming year, and immediate next steps for attaining goals. 3) I’m pretty sure your SEO Cyborg post (https://moz.com/blog/seo-cyborg) was read by many who knew it was important but didn’t truly understand it (and likely passed it on to their in-house SEO). If you were talking to one of these “less-than-technical” people, how would you tell them to address your post with the relevant internal stakeholders? My address to those who thought the SEO cyborg article may be important, but didn’t truly understand: First off, thanks for checking out the article (and for passing it on)! At a high level, the post strives to expand the current model of what-we-do-as-SEOs to be more reflective of what we actually do (adding some additional elements – rendering, signalling, and connecting). Because it offers considerations across each type of task, it was long. The positive – there’s a lot of good work that can be done to improve both the user and bot experiences to support your organic performance. Ask your SEO team what areas they think are going to drive the most impact to the site. Send them the article to help generate ideas. Then work with them to prioritize top action items for 2019. Anyways, thanks for reading. I hope your team can find a use for it. Also, if you come across elements you don’t understand, feel free to reach out on Twitter @AlexisKSanders. If you send a fun meme, I will respond. Better memes may get higher priority.